Whether you are in the midst of a wind, weather, or water lesson plan, these preschool cloud crafts are sure to raise your students' spirits! These crafts can be used alone or as a supplemental activity. Begin this activity by asking your students if they ever watched the clouds from their bedroom window. Explain to them that they are going to make a window that always shows beautiful clouds. Hand out the blue piece of construction paper to each child, and explain to them that that represents the "sky." Then have the children glue the three white paper clouds anywhere in the sky that they see fit. Some children may require your assistance with the glue. Finally have the children create window panes by forming a "t" with the black strips of construction paper. These should run the length of the blue piece of paper both vertically and horizontally. Your students may also need help with the placement of these pieces of paper, so offering them a model to reference is recommended. Once the panes are set help the child glue them down. The children will have a cloudy scene all their own any time they want to "glance out their window!" This craft works well as a supplement to a weather or water cycle lesson plan. Begin this craft by handing out the white piece of construction paper that has the pre-printed cloud on it to your students. 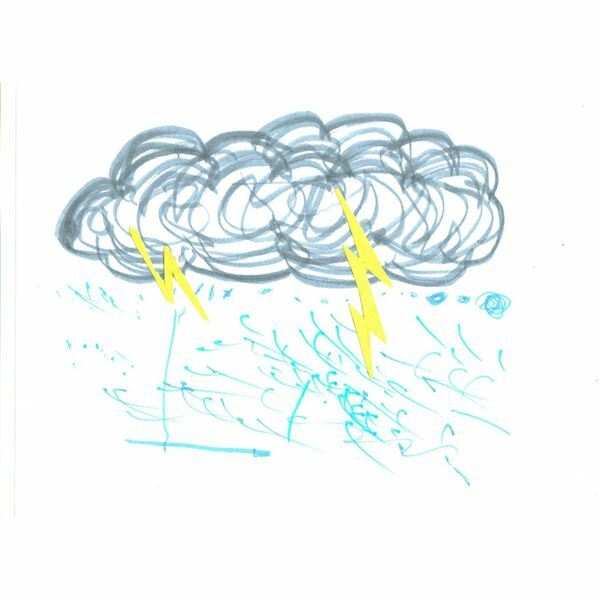 Have blue markers available to the children, and ask them to "make the cloud rain," by marking blue raindrops underneath the cloud. Again a finished model will help the children understand how to create raindrops using markers. Once this step is completed, ask the children to glue (with your help) the two lightning bolts to the cloud to represent both lightning and thunder that sometimes come along with a cloudy sky! 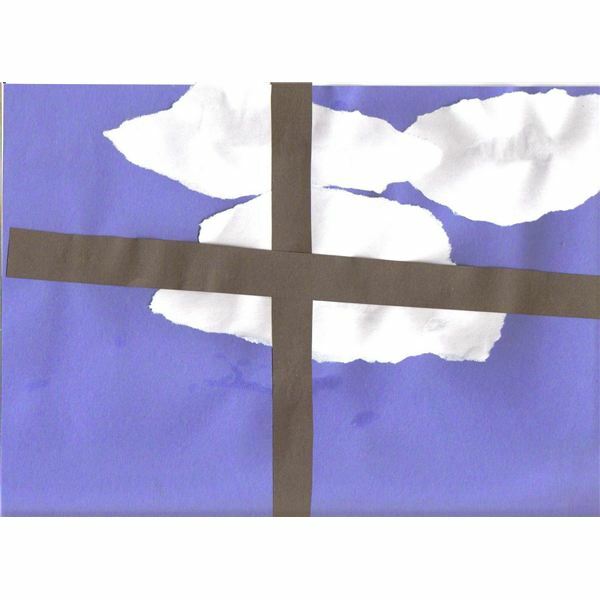 This is a fast and simple cloud craft that can be enjoyed by all preschoolers. Prior to the start of this craft, have ready a loofah sponge resting in a shallow container that also contains some white tempera paint. Any type of sponge could be used; however a loofah sponge is a characteristically porous sponge, which creates wispy, cloud-like markings when used in this manner. After giving each child a piece of the blue construction paper that contains the outline of a cloud, ask the children to take the loofah sponge and paint away. Join in the fun and create one of your own! Demonstrate to them that the sponge should be pressed to the paper and lifted off instead of making traditional brush strokes. Your students will have a blast creating their own cloud creations! 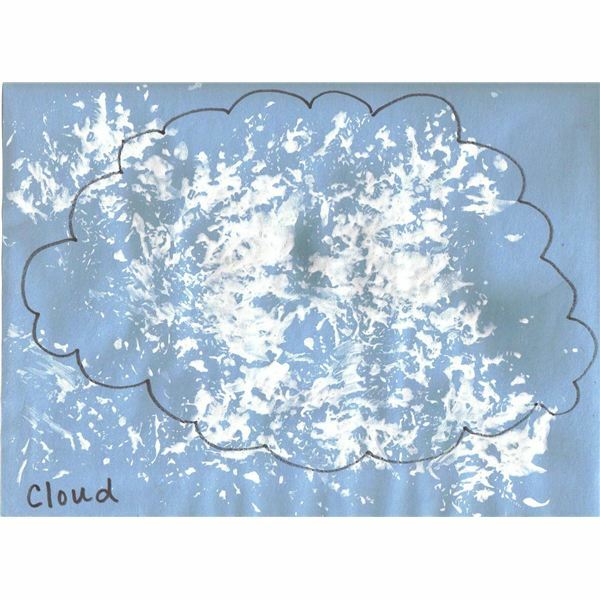 Supplement your cloud theme and weather curriculum with these cloud crafts for preschool. If you choose to also use them independently, do not be surprised if your students start to look forward to cloudy days. However, if you choose to use these crafts, you and your students are sure to be blown away!